The 5th day of May, 2018 marks the bi-centenary of the birth of Karl Marx. May all the people over the world celebrate this very day. It is high time that the victims of tyranny, those of exploitation, of treachery, of inequality, in a word, the oppressed of the world, should arise against their oppressors. The man, who was born two hundred years ago in Germany, is being discussed all over the world even today, in the 21st century. It suggests the greatness of his teachings. The horrors of capitalism have been experienced by the people of every generation since its introduction. Sometimes it reaches the doorstep of death, but again revives, and again it sometimes needs to be admitted to the ICU. Even then, capitalism is surviving, and perhaps it has a long life. In the words of the Marxist Sociologist John Bellamy Foster, “Just as capitalism itself took numerous centuries to develop, it is now clear that the movement towards socialism is a long struggle, with historic victories, followed by heartbreaking defeats, leading to a renewal of the struggle.” We, the soldiers of the Marxist army, must go through various challenges, several defeats and victories, until the final victory of socialism is achieved. As capitalism is a destructor of the world, it too must be destroyed, with the revolutionary teachings of Karl Marx, and preparation. What the 21st century capitalist world is suffering from, was predicted by Marx back in the 19th century. At that time, capitalism was just like a young child. It was just emerging out of feudalism. Karl Marx gave us the correct prediction of capitalism and the world under it. He also taught us how this destructing system can be destroyed. On this bi-centenary of the birth of this great man, let us, the new generation of the 21st century, take oath to bring a revolutionary change to this world of inequality. Why is Marx still popular? 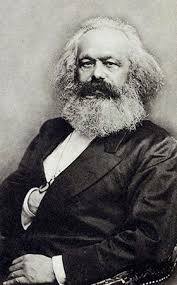 Thousands of people of the world visit the tomb of Karl Marx that is in the Highgate Cemetery of London even today. This proves nothing but the correctness of his predictions of the future world under capitalism, and the people’s awareness of him and his revolutionary teachings. Capitalism must be replaced with scientific socialism as a result of the revolutionary union of the working people of the world along with the other oppressed of the world. This destructive system must be replaced with a new one, through a revolution under the leadership of the truly revolutionary class—the proletariat. Let the ruling classes tremble at a Communistic revolution. They have a world to win.